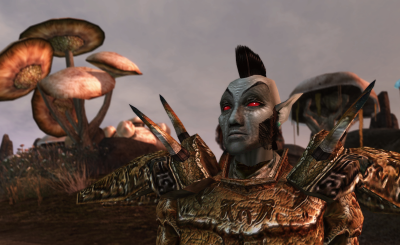 Puzzles, farming, dragons, mechs, heavy metal, and…..goats? 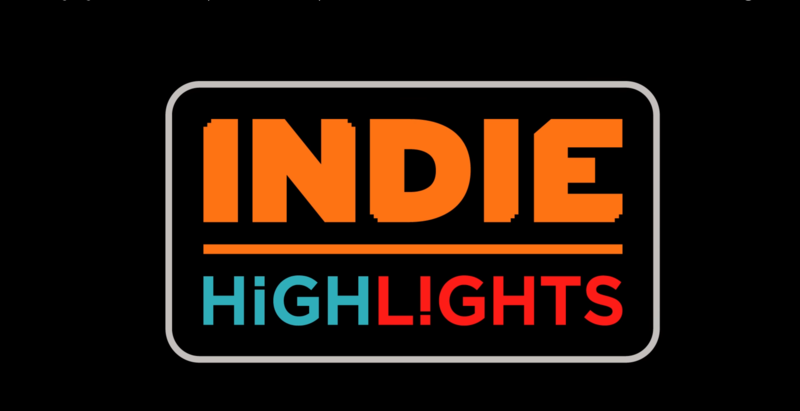 The scheduled Indie Highlights from Nintendo dropped this morning via a video on the official Nintendo UK YouTube account. It highlighted a slew of new and upcoming titles for the Switch, along with recapping some of the best-selling and most popular titles already available. Here’s the skinny on what we learned! 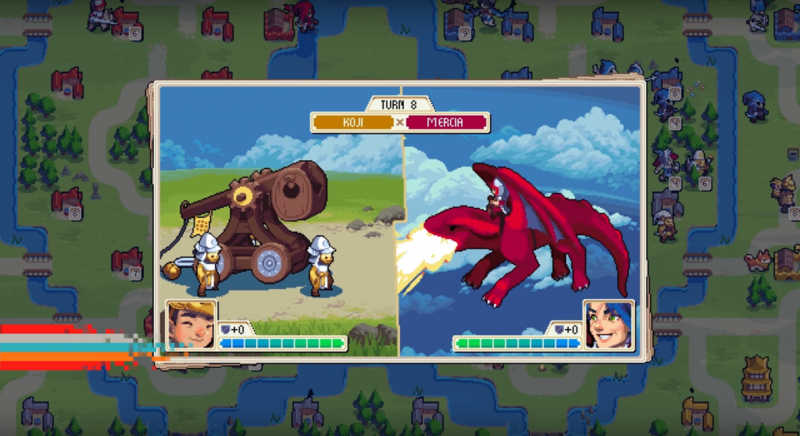 Fans of the classic GBA series Tactics Advanced have been following news of Wargroove since it was announced, and while we still didn’t get a release date, today’s footage showed off the most polished version of the game so far. Additionally, they announced new modes and pre-order details. Boasting a bright art style and iconic characters, Wargroove pits more than a dozen different commanders and their armies against each other in a mission-based storyline comprised of turn-based battles. We saw trebuchets, undead hordes, and one scarred badass on the back of a dragon. Players can also create their own maps and campaigns to share, and up to 4 players can compete against one another. You can preorder the game now via the online Switch shop. RHYTHM. METAL. SHOOTER. If that ain’t a tagline to get the fire in your blood raging, then Double Kick Heroes might not be the game for you. 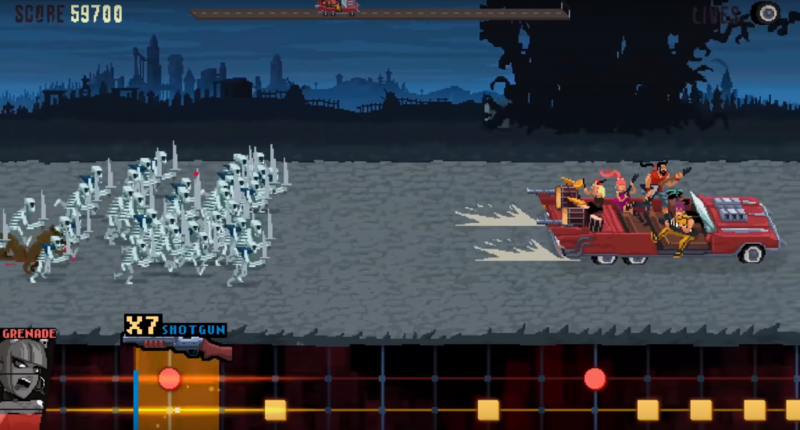 But for the rhythm game loving metalheads out there, the game will feature more than 30 original songs throughout a campaign to save the world from skeletons, a cyborg T-Rex, Mad Max-style tanks, and more. Amp up and rock out sometime this summer. 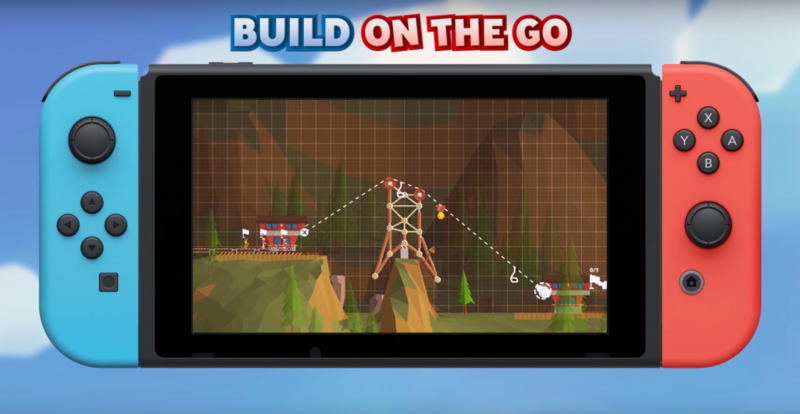 Cute and a little wacky, When Ski Lifts Go Wrong is a combination of physics-based bridge building games and Trials-esque course navigation towards a goal. The hook here is that not only do you need to build a structure that can convey vacationing snow sporters and their equipment, but you then take control of those ragdoll racers in an attempt to safely navigate your own creation. The video promises great controls in handheld mode and plenty of content to fail your way through. It’s available to purchase now. Forager looks to be a stressful, hand-cramping mix of dungeon delving, crafting and farming. It also looks way cute. 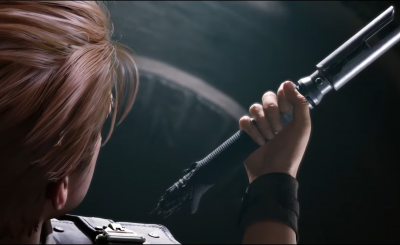 Details are slim at the moment, but the trailer showed characters collecting resources from the wild, planting and harvesting crops, and navigating rooms full of monsters, traps and laser puzzles. Will Forager be one part Stardew Valley, one part Enter the Gungeon? We will have to wait and see, but keep an eye open just in case! You have likely either played or heard of Goat Simulator sometime in the past five years. The excessively weird parody-turned-actual-game sounds like a joke, and it kind of is. 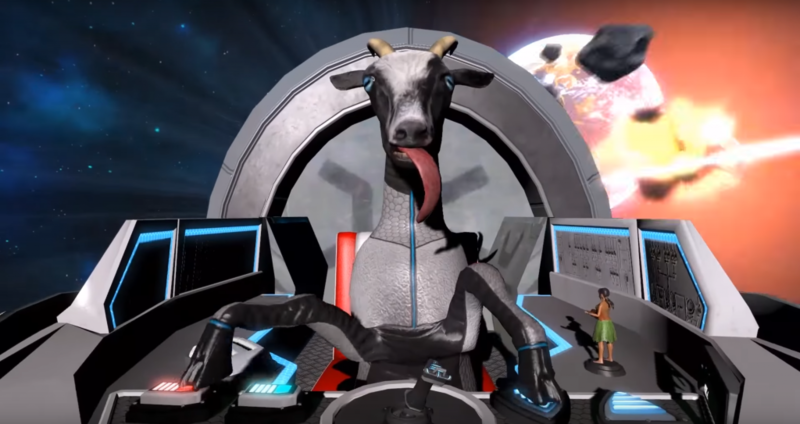 But it’s also a competent simulation game where you (of course) play a goat in a world where most anything is possible. The Switch will now be the beneficiary of The GOATY edition of the game, which packages all of the available content together in one title. These caprine hijinks are now available for purchase. In a complete tonal shift, Inmost brings players into a somber world of dark colors, rain clouds and malicious shadows. 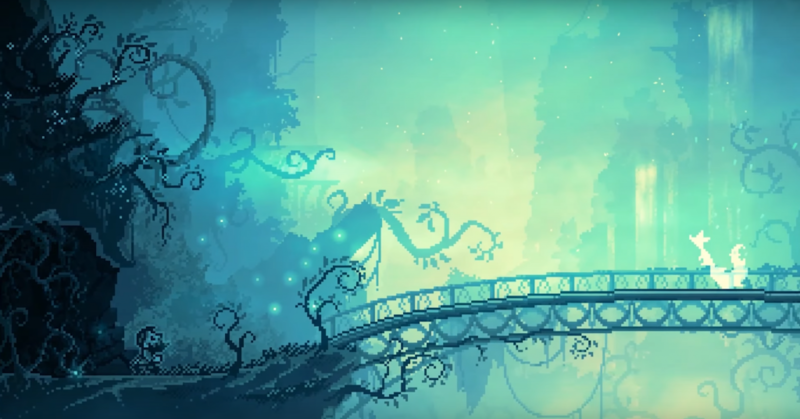 The puzzle platformer will weave together three interconnected storylines, which looked grim with a small dash of hopeful. One character is a warrior armed with a sword and lithe moves, while another is a bearded man with little comparative fighting power. The third character unfortunately wasn’t showcased as much, but the scene of a small girl falling from a shelf and breaking a window might provide some clues. Expect Inmost to hit the Switch sometime in 2019. Unruly Heroes looks like a fun and frantic cooperative romp through a world obviously inspired by Chinese folklore. The four characters are a monk, a pig warrior, a hairy brawler and either THE Monkey King or someone cribbing his style hard. Think Rayman Legends in both style and design, and your expectation won’t be far off. Boss battles, racing sections, and individual challenges look to be in store. There’s also a versus mode where you can let off a little steam if one of your friends keeps failing a particular level over and over and over. It’s currently available in the online shop. 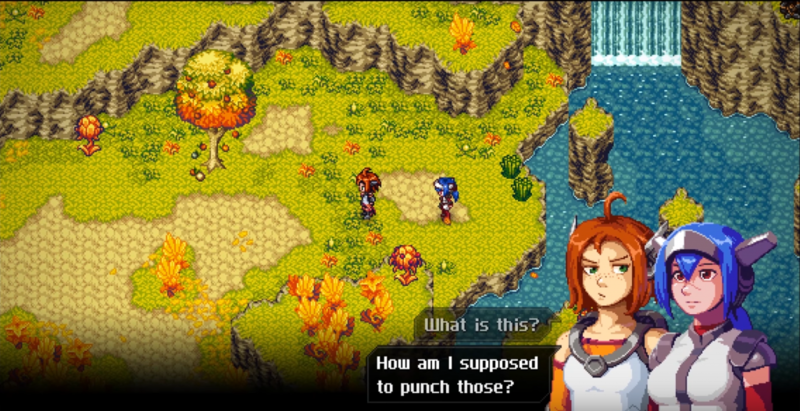 Crosscode dropped in September of last year, but flew under a lot of radars (including ours). We now have a chance to atone for that mistake when the sci-fi action RPG drops on the Switch later this year. The combat looks hectic, and the design is a SNES RPG lover’s dream with vibrant colors, flashy attacks, and dialogue complete with those little repeating “doots”. It also promises as-yet-unknown content exclusive to the Switch version. SteamWorld fans are lucky ducks. 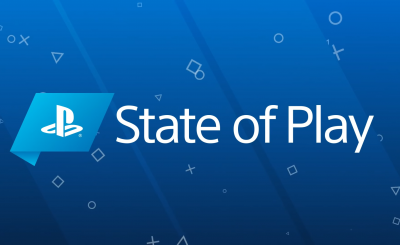 They have enjoyed a new game in the series every two years, and 2019 will not disappoint. 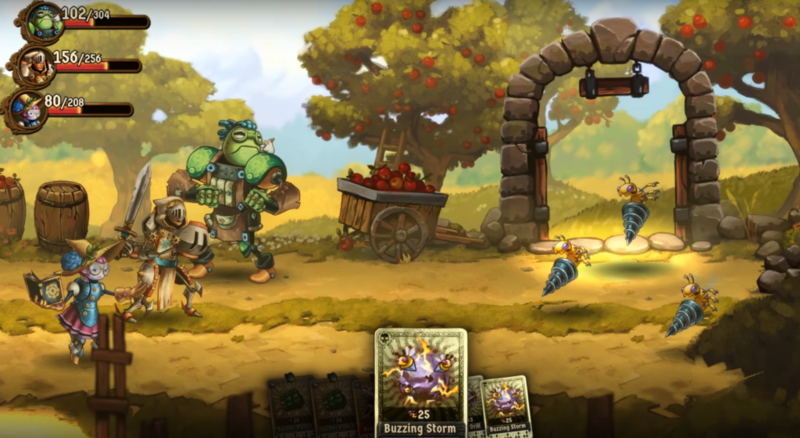 The latest addition is called SteamWorld Quest: Hand of Gilgamech, and it will once again swap genres. This newest title, a fun cocktail of creaky steampunk mechs and high fantasy, will borrow deckbuilding combat encounters from games like Slay The Spire. It’s not clear if the roguelike elements will follow along, but Quest does have a party of three automaton heroes battling slimes, giant wasps, dragons, and the like. Gear up (I’m so sorry) with Steam World Quest, on the Switch first, sometime in 2019. And that’s it! Let us know in the comments or on social media what caught your interest, what surprised you the most, and why Wargroove is going to be one of the best games of 2019! Or, you know, whichever one is your favorite. We swear we’re not biased. Chase is a journalist and media scholar interested in fan communities and how they communicate. He loves reading, cooking and his two cat sons very much.